It's an extraordinary story about how traditional church choir can become a successful commercial project. When there are such talents and such voices as in the London Community Gospel Choir, other arguments are not important. The congregation of priest Bazil Meade is now known throughout the world, they perform on the same stage with Madonna, Tina Turner, George Michael, Celine Dion, Paul McCartney and "Depeche Mode". Once in 1982, the London priest Bazil Meade has assembled a group of enthusiasts among his parishioners and organized a Church choir. After several years, the impossible happened: vociferous vocalists left the home Church to perform at the largest and most prestigious concert halls together with the variety stars. The name of this lucky band is “London Community Gospel Choir”, and today it is the most famous choir in the genre of gospel music. 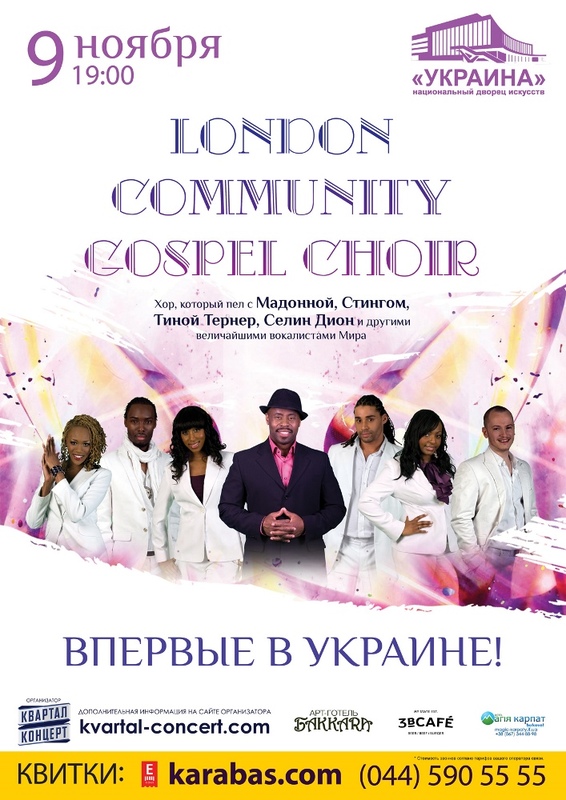 Gradually a repertoire of gospel songs was added to secular compositions, thanks which the “London Community Gospel Choir” has become even more popular. Vocal band was seen by producers of celebrity, and the choir began performing together with Madonna, Tina Turner, George Michael, Celine Dion, Paul McCartney, Joe Cocker, Sting, Maria Carrie, Diana Ross, Eric Clapton, bans “Depeche Mode” and “Gorillaz”. Do you remember the magnificent music to the cartoon “Lion King”? This masterpiece of Elton John created in conjunction with the “London Community Gospel Choir”.